THE 2015 SOWE (Southern Westchester) MUSIC FESTIVAL WILL FEATURE Two STAGES, 15 TOP NATIONAL AND REGIONAL ARTISTS, BEER, WINE, FOOD TRUCKS, CARNIVAL RIDES, AND MUCH, MUCH MORE. 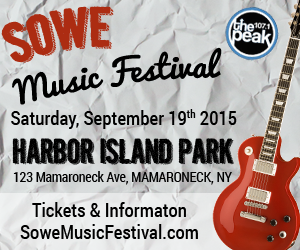 THIS ANNUAL EVENT WILL BE HELD IN HARBOR ISLAND PARK, MAMARONECK, ON SATURDAY, SEPTEMBER 19, 2015 AND WILL ATTRACT TEN THOUSAND MUSIC FANS, FAMILIES, RESIDENTS, AND FUN SEEKERS. THERE IS SOMETHING FOR EVERYONE WHO LOVES MUSIC AND A GREAT TIME. Some of the food trucks at the venue will be Salsa Fresca, Walter’s Hot Dogs, Artuso Bakery, Pow Burger, Longford Ice Cream, Good Humor, Yum Yum Noodle Bar and others. There will be a Family Fun Zone with a photo booth, cooking classes, giveaways, games and programs. 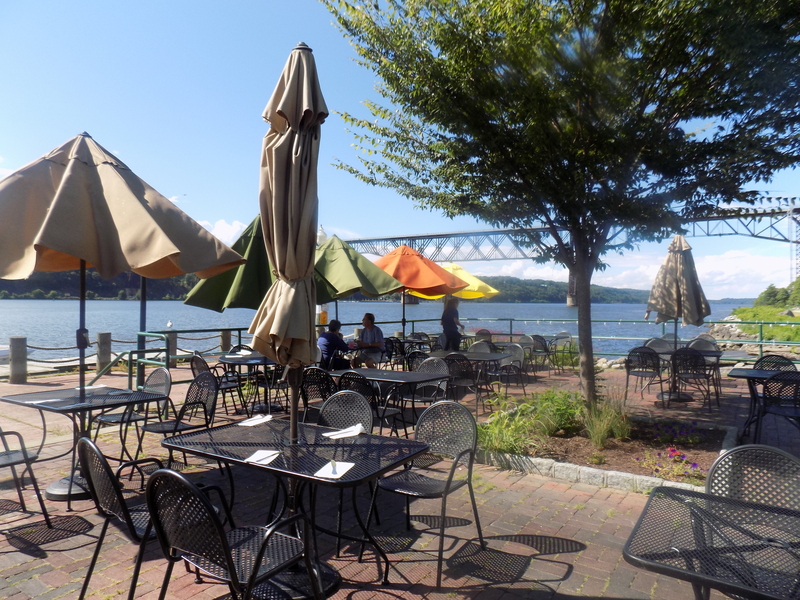 I recently visited the Ice House on the Hudson in Poughkeepsie for lunch on a beautiful summer day. 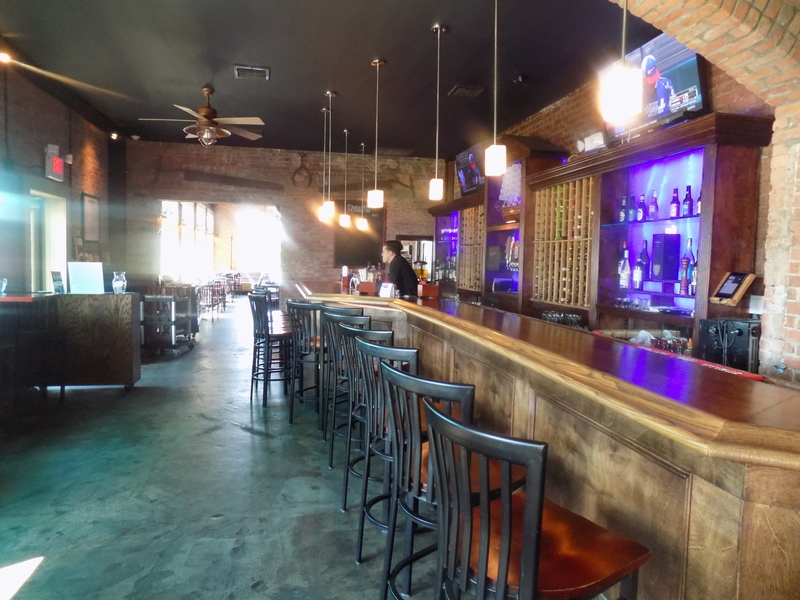 The restaurant sits directly on the east bank of the Hudson and has amazing views of the river from both the outdoor dining patio or inside the lovely interior with its large windows and exposed brick walls. A brief passing shower interrupted our plans to dine outdoors, so we elected to sit inside. The oversized windows and 25 foot ceiling bring in a bounty of natural light which enhances the charm of the dining room. 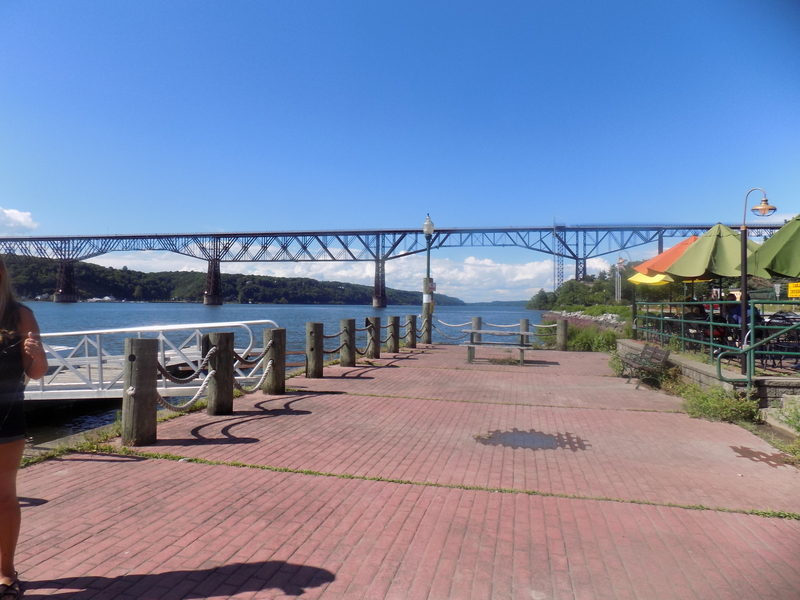 There are views of the river, the Walkway over the Hudson pedestrian bridge, and the Mid Hudson Bridge as well. 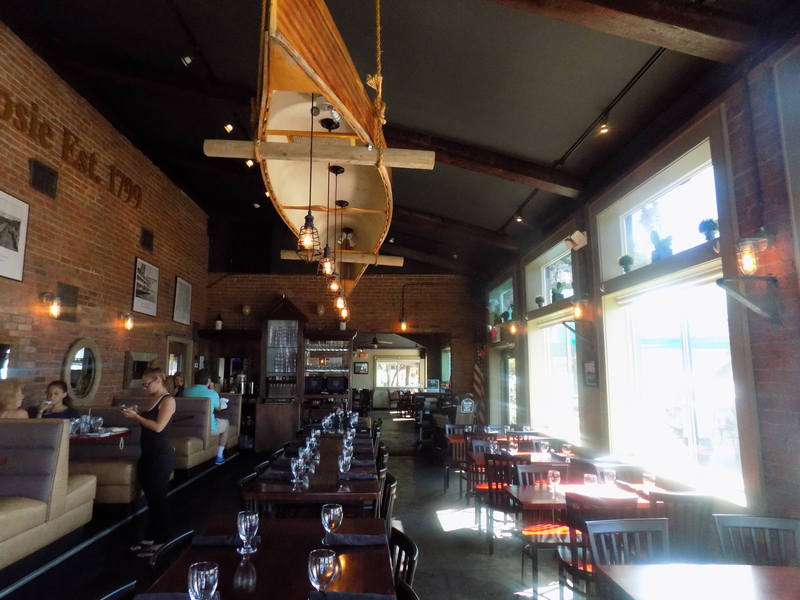 The Ice House has the distinction of being voted the Best Waterside Dining in the HudsonValley by Hudson Valley Magazine and their readers. 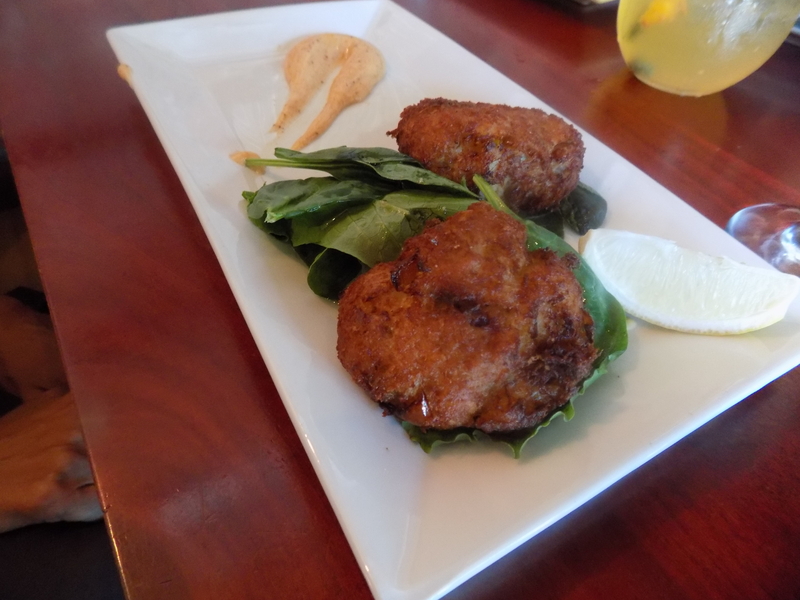 We began our meal by sharing edamame in a spicy orange soy glaze, an order of Maryland Crab Cakes with Old Bay Aioli and arugula and “Le Cast” Mac and Cheese with pancetta , truffle and local cheeses. I also sampled a white wine Sangria which was perfect for this summer meal by the river. 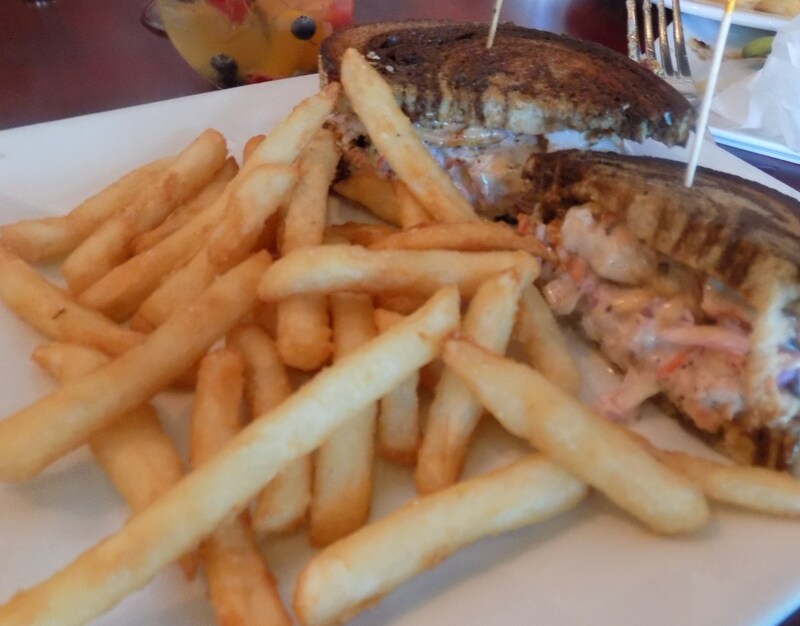 For the entrée, I chose the Lobster Reuben which consisted of lobster tail, cole slaw , seasoning and swiss cheese. This combo was unique and brought a blend of different tastes to the palette. Another member of our party ordered the Bridge Music Burger which included bacon, cheddar, tomato, garlic and herb aioli on a brioche bun (served with fries). I was told the dish was mouthwatering. 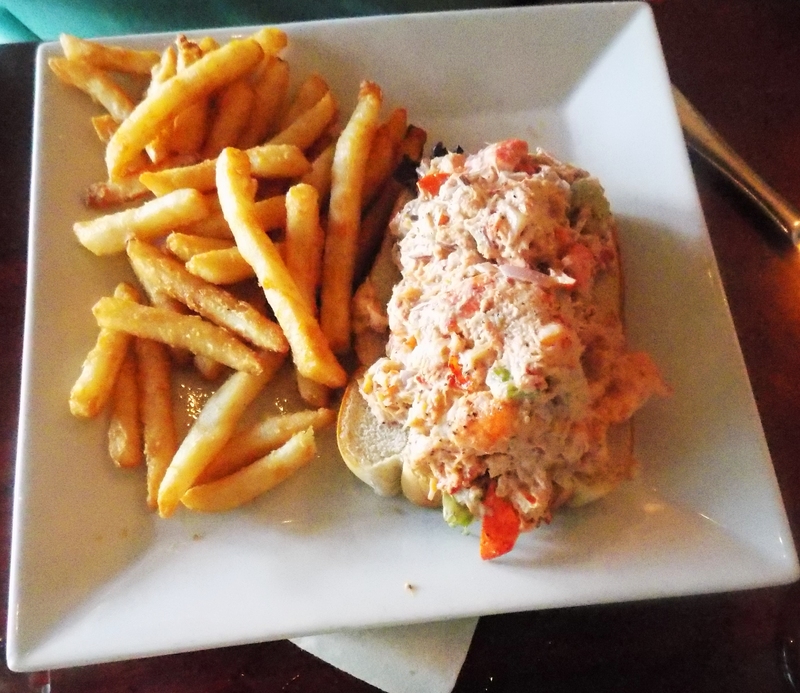 Also ordered was the Lobster Roll which was so stuffed with lobster you could not see the roll underneath ! I had to take a bite and can honestly say it was fresh and very tasty. The last choice of our party was a grilled chicken wrap with lettuce tomato, bacon and cheese. It was ordered with a side salad. The dish was delicious and fresh. We were all very full but made room for one dessert to share, a Lava Cake served with Vanilla Ice Cream and chocolate ganache. What a nice way to cap off a meal. I highly recommend this special restaurant for its fine food, fantastic views and its friendly and excellent wait staff. 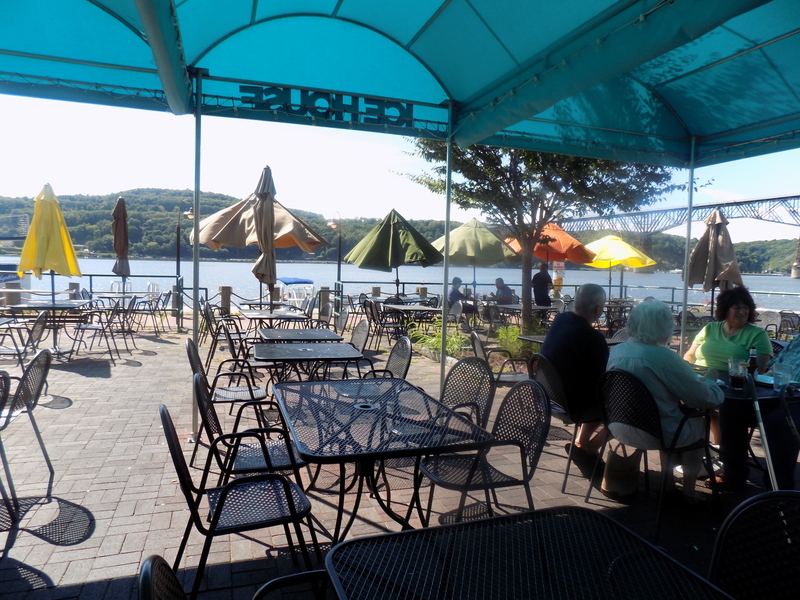 If you are visiting the Mid Hudson region this fall, put the Ice House on your list of places to eat. Westchester Broadway Theater has just rolled out yet another marvelous stage production, Backwards in High Heels, The Ginger Rogers Musical. Ginger Rogers was one of Hollywood’s most famous dancers and actresses and is best known for her many movies with dancer Fred Astaire. 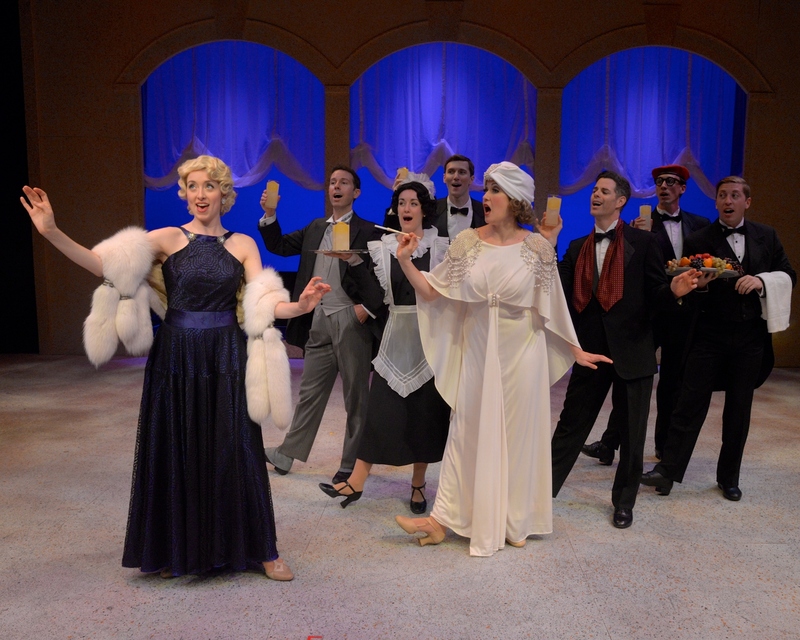 This show which opened on August 13th is a high energy, dance filled story of Ginger Rogers rise to fame. Starting at age 15 in Texas with her entering a local dance contest, we follow her path through the dance circuit, Broadway, and on to Hollywood and fame. Along the way we learn about her struggles, family life, her relationship with her Mother and her numerous marriages. The story culminates with her winning the Oscar for best actress in 1941. Along the way the audience is treated to fantastic dance performances and a musical score that includes original songs as well as numbers from some of her movies, such as “Let’s call the Whole Thing Off” and “A Fine Romance”. 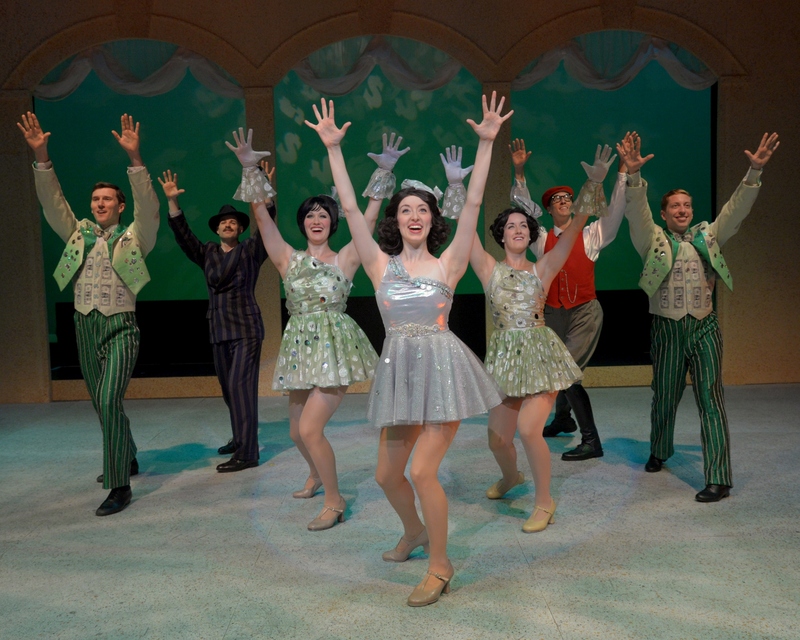 The musical premiered in 2007 and has been produced throughout the United States. The Westchester Broadway Theatre production features choreography by Jeremy Benton and Amy Van Norstrand. Mr. Benton also directs and stars in the production. The talented cast includes Darien Crago as Ginger and Jeremy Benton as Fred Astaire. They are very talented dancers and actors and Ms. Crago is full of energy and she is a joy to watch. The rest of the cast includes Avital Asuleen, Erika Amato, Matt Gibson, Sebastian Goldberg, Ryan Steer, Amy Van Norstrand and Jacob Ben Widmar. All the actors at the Westchester Broadway Theatre are professionals and are members of Actors Equity and many have years of experience including Broadway appearances and national tours of various shows. Dinner is included in your ticket price and is served prior to the show. The show runs about two hours with a 30 minute intermission. If you are a fan of classic Hollywood musicals, or a fan or great dancing, then do yourself a favor and see this show. 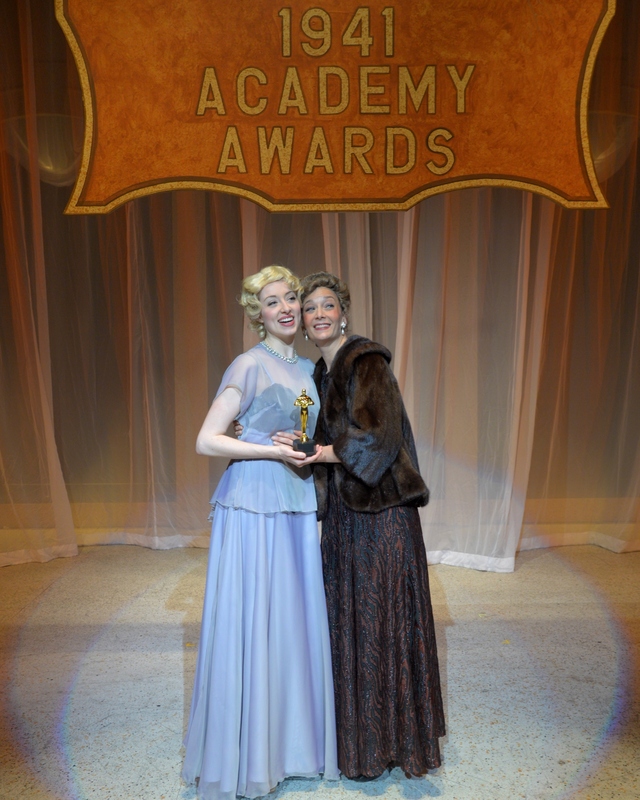 Backward in High Heels will be on stage through September 20th. The Hudson Valley is located in the perfect spot, especially since the Hudson Valley borders its vibrant neighbor, New York City. I decided to take the train and spend a lovely day in Manhattan. 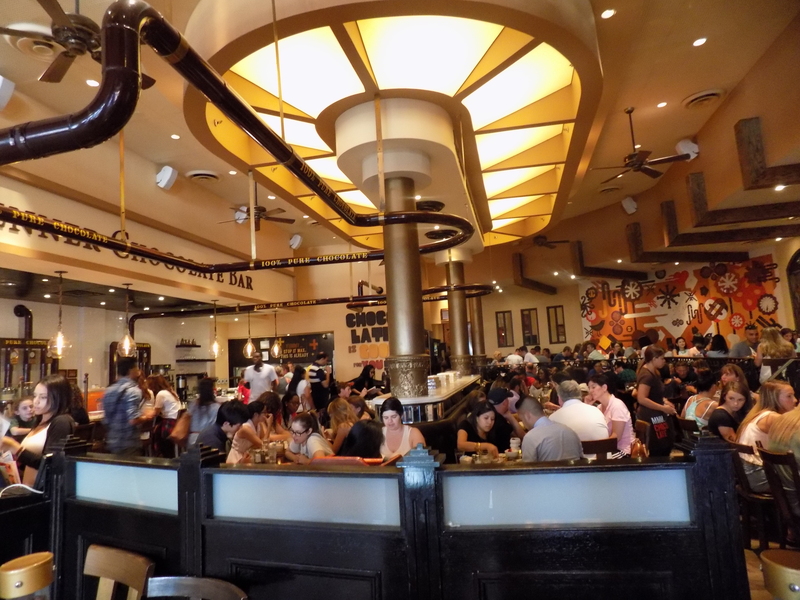 After traveling to Union Square, I lunched with a friend at Max Brenner. Upon entering this popular restaurant, I immediately noticed the chocolate shop in the front and a full working chocolate bar. 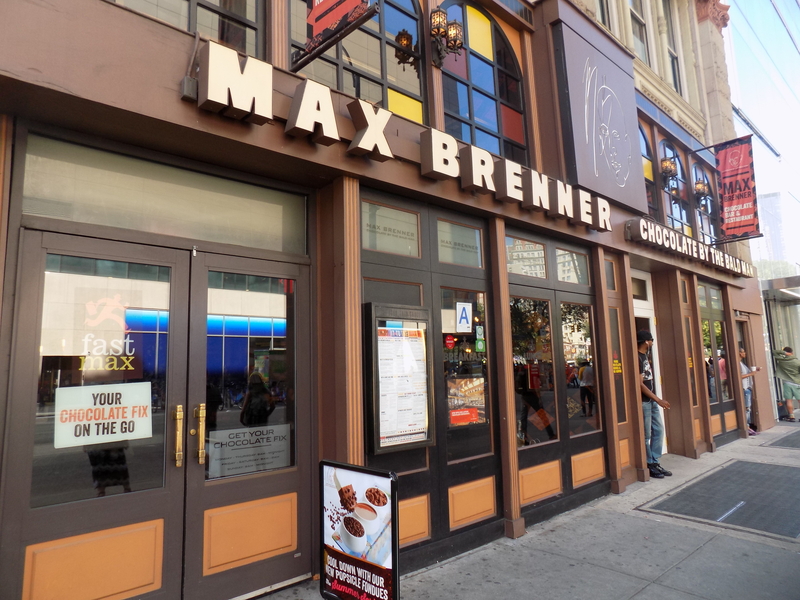 Although known for their chocolate and desserts, Max Brenner offers a full menu. I ordered the Grilled Chicken Caesar Waffle Sandwich and my friend ordered the Cheese steak Waffle Sandwich. These are not your typical sandwiches. A crisp waffle is used instead of a mundane slice of bread, enhancing the flavor with each bite. My meal was a house made rosemary-infused waffle with grilled chicken, melting mozzarella, red onion, arugula, asiago crisps and caesar dressing. My friend enjoyed a savory waffle with thinly-sliced sirloin, caramelized onions and a tasty 5-cheese sauce. He described the Cheese steak Waffle Sandwich as “very juicy and full of flavor.” The meat melted with each bite and the cheese sauce complimented the waffle really nicely. The menu is a decent size. 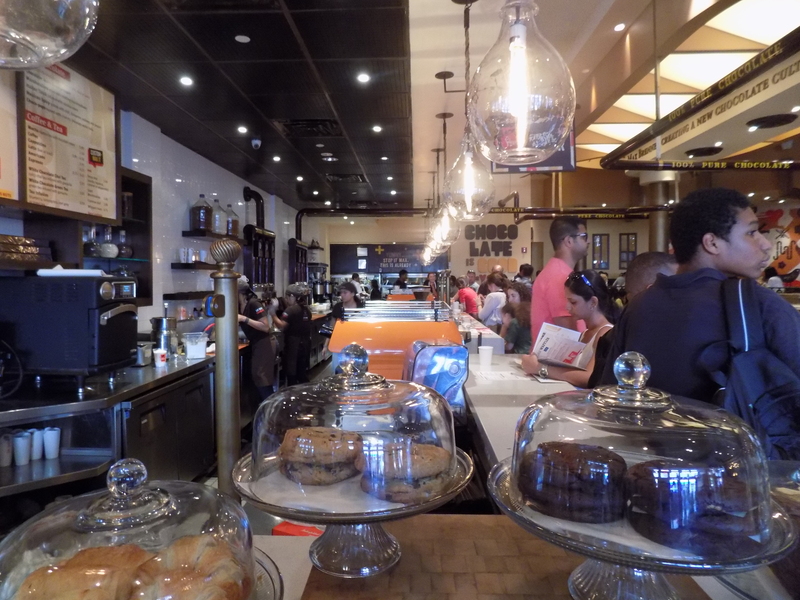 In addition to what we have, Max Brenner offers brunch, along with several other lunch dishes. Our waiter informed us that their burgers and mac and cheese are the most popular items on the menu. For our beverages, we ordered the 80’s Milkshake and the Peanut Butter Turtle Choctail. Both drinks were served in the unique Alice and Wonderland cup. After one sip of the 80’s milkshake, I discovered that this is the best milkshake I have ever tasted. This indulgent drink consisted of milk chocolate ganache, vanilla ice cream and a crunchy chocolate shell. The Peanut Butter Turtle Choctail was also heavenly. It was made of dark chocolate ganache, peanut butter, caramel and topped with whipped cream. 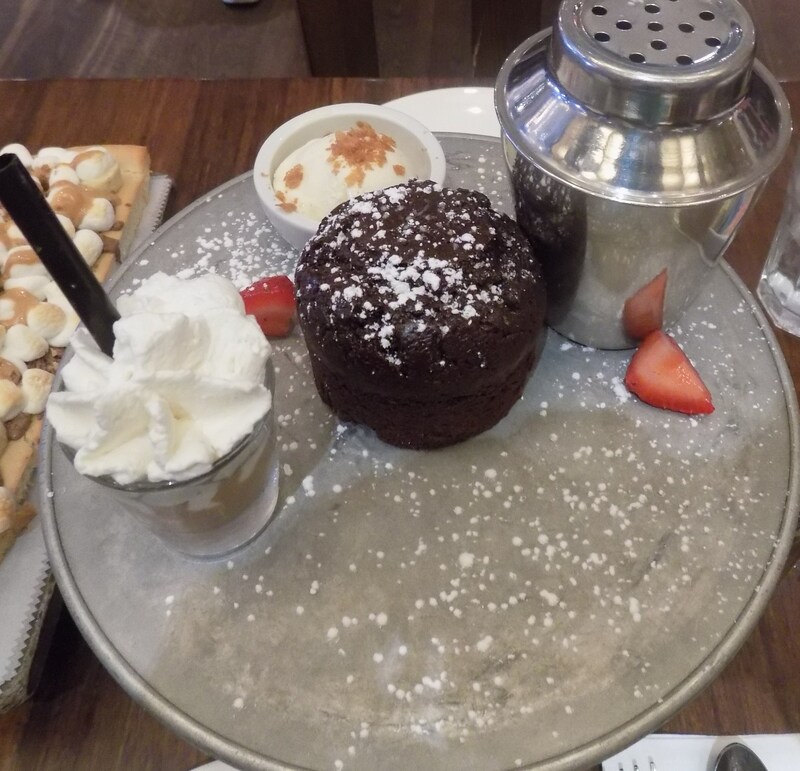 Since Max Brenner is renowned for their chocolate, I couldn’t pass up the opportunity to try dessert. After receiving an entirely new menu just for dessert it was hard to choose just one dish. The menu offers crepes, waffles, fondue, cakes, ice cream and much more. We decided to try the Melting Chocolate True Heart Cake and Shake. This cake is made with both milk and white chocolate. To make the cake even better, a delicious chocolate sauce was available to pour on top of the dessert. There was also creamy vanilla ice cream, red berries and an iced milk chocolate shot on the side. 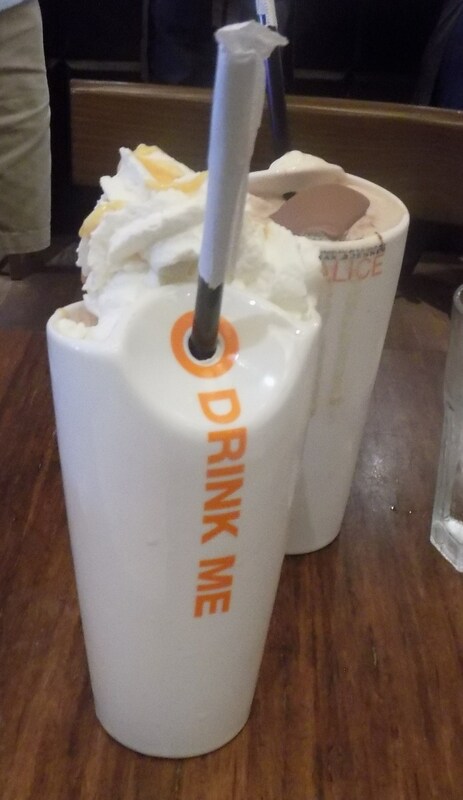 The iced milk chocolate shot is an example of how Max Brenner goes above and beyond with both their presentation and creative creations with their chocolate. We also had the Chocolate Chunks Pizza. 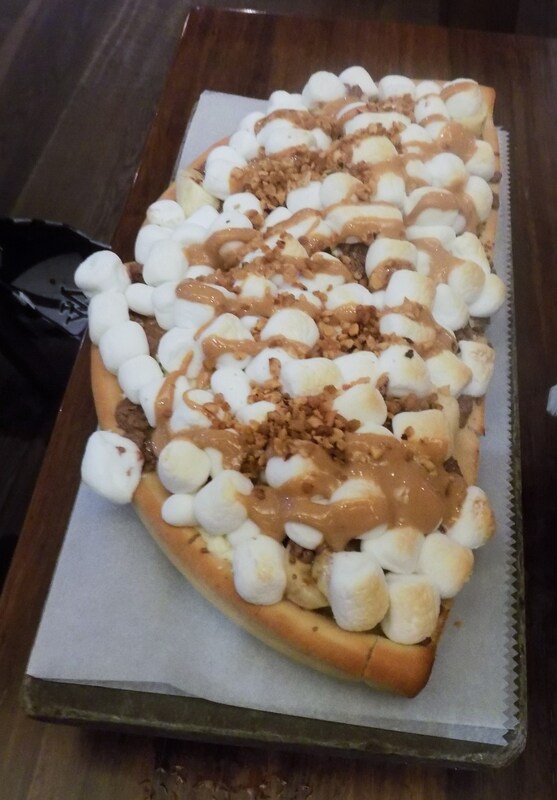 This is a dessert pizza, which has melted milk and white chocolate chunks, crunchy hazelnut bits, bananas, peanut butter and roasted marshmallows. I found the Chocolate Chunks Pizza to be extremely delectable. This pizza was like an entire meal by itself! After finishing our amazing meal, we checked Max Brenner’s candy store. 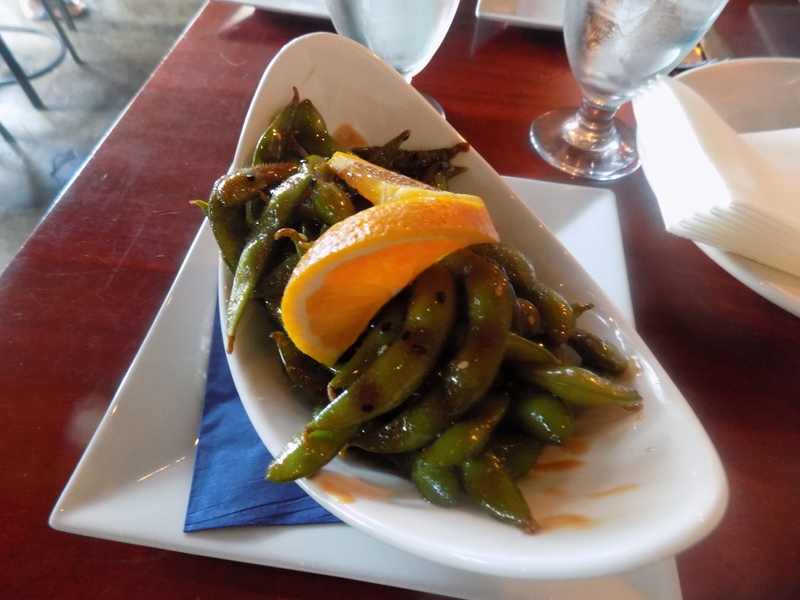 With so many creative options on the menu, I know that I will want to return soon. 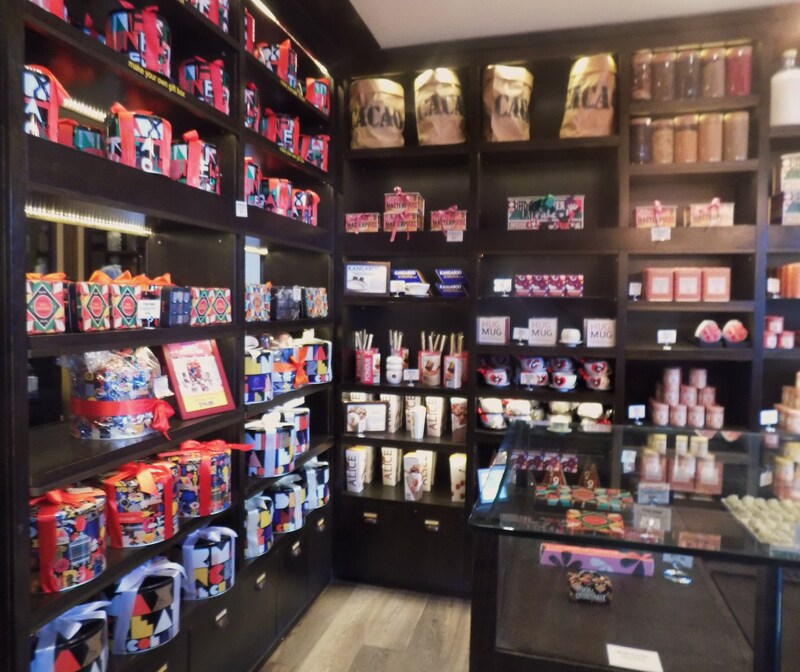 841 Broadway New York N.Y.